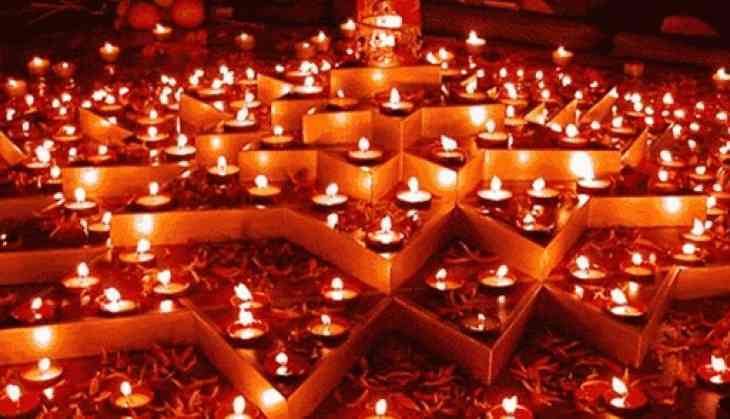 Home » Lifestyle News » Are we forgetting the real essence of Diwali which is losing its sheen in contemporary world? A festival of hope and prosperity, Diwali brings a lot of cheer in the people’s camp beginning from cleansing to shopping and ending at puja and crackers. All this while citizens are in a lust of achieving tangible and materialistic gains which is quite unreal and absurd to expect because Goddess Laxmi, being the deity of Economic Affairs must be full of wisdom and would be aware about everyone’s psychology. Diwali is a festival of long-term investment and hence we must focus on the prime issue of grabbing a dozen of blessings and wishes from everyone with a lot of ethical knowledge about the reasons the festival is celebrated. The very essence of this festival has been forgotten by the commoners, which is the victory of truth over unjust, it’s the festival which signifies the priority of following an honest path and making it more traversed. The way we enjoy and celebrate Diwali shows our consciousness towards the importance of truth in our life. We have highlighted Diwali with the reference of Ram’s returning to Ayodhya, Ravan’s loss and the conquering victory of Lord Ram where the arrogance and attitude of Ravan towards his powers and kingdom was nullified in the battleground. The notifying issue in the above-mentioned historical facts are the continuous depletion of reality unto the virtual world. When we manipulate with reality, catastrophe happens. We must ensure that our deeds are reflecting whatever we preach and learn from the society. Any manipulation with truth will call for an apocalypse, because unless truth is on our side we can never progress. Lord Hanuman had a distinctive idea of winning the battle as truth was on their side. But today, truth gets diluted with many other chemicals like corruption, power, lust of stature & designation, vengeance etc. and a proxy fact is procured from it which certainly has a lot to hide. The morals of Lord Ram are being overlooked in Kalyug and indirectly or unconsciously we are willing to be Ravan, and making him the protagonist of our story and the idol of our life. It is highly recommendable to look back at the happenings of the day and explore our inner self on a daily basis because no matter how much effigy of Ravan we burn, till we eradicate and abolish him from our inside conscience, we cannot be at peace. Diwali has a denotation of being superior over others in a truthful and honest way. We cannot deceive a person and win the battle through a shadow war because winning is not everything, the effort made and the struggle required to reach at that level, has got the priority. By not supporting a volatile leader and being disciplined through rules and norms is much better than having a rank in an uncertain kingdom where ideological earthquake might occur any time. At any point of time in our life, we must remember that we always have got a choice. It’s the choices that make us who we are, and like Lord Ram we can always choose to do what’s right. Diwali is a festival of reinstating the relationship, throwing light on our bonding and effervescence with a sense of merriment & indispensability. Let us revoke the condescending demeanor that we carry around and burn the Ravan, which still has got some relevance in our class, culture and society.